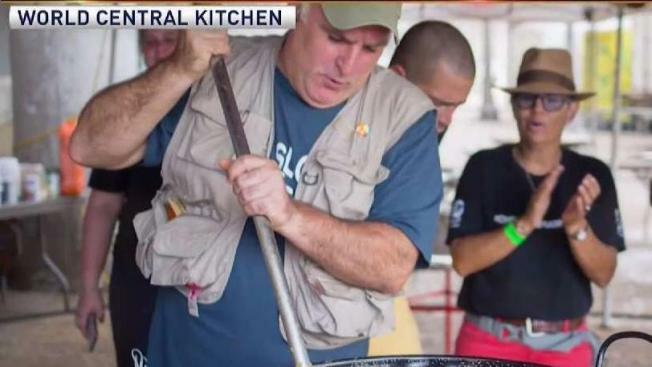 Renowned chef José Andrés has turned up in North Carolina to lead a hot food drive as the state deals with Tropical Storm Florence. Andrés was in Wilmington, a city on the coast near South Carolina, on Saturday, running a kitchen full of volunteers cooking food to be delivered to shelters and emergency workers in the flood-stricken region. "I love these guys, they are really amazing heroes," Andrés said in a video posted to Twitter as he toured the Wilmington kitchen where his organization, World Central Kitchen, had set up shop. 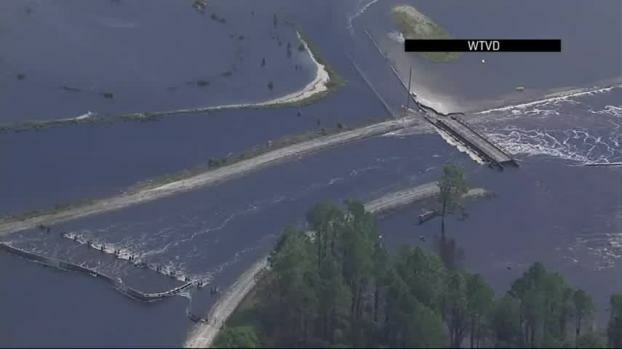 Florence has caused major power outages in the Carolinas, displaced tens of thousands and killed at least five people. While it's been downgraded to a tropical storm from a hurricane, its slow speed meant it was still set to continue dumping an overwhelming, dangerous amount of rain on the area. Andrés has become something of an expert in cooking during disasters. A Spaniard who rose to fame in Washington, D.C., he won the James Beard Award for the best chef in the U.S. in 2011, one year after he started World Central Kitchen in 2010 in the wake of an earthquake that heavily damaged Haiti. The organization is perhaps best known for feeding people in Puerto Rico after Hurricane Maria crippled the island. World Central Kitchen says it made more than 3.6 million meals in 25 kitchens there since the disaster last September. That work, along with responses to Hurricane Harvey in Houston and the wildfires in California, was cited when the James Beard Foundation awarded Andrés its humanitarian of the year award this year. Andrés is also known as an outspoken critic of President Donald Trump. He dropped out of a planned restaurant in the Trump International Hotel in D.C., citing Trump's comments "disparaging immigrants," which led to a two-year legal spat they eventually settled. This week, Andrés reacted to Trump's denial that about 3,000 people died from Maria by blaming Trump and the federal government's handling of the devastation. "I was screaming for help, 'Please, let us help you federal government. We could feed the entire island,'" he said on MSNBC. Andrés said in another video posted to Twitter Saturday, this one filmed as he drove through the rain on a delivery run, that it appeared in North Carolina that FEMA had learned lessons from Maria — Andrés saw power generators "all over the place." For those who want to help those displaced by Florence, Andrés suggested donating blood to the American Red Cross as well as donating money to his organization, even if it's just $1. He also put out a call for more volunteers to come help at the kitchen on 127 S. College Road in Wilmington.